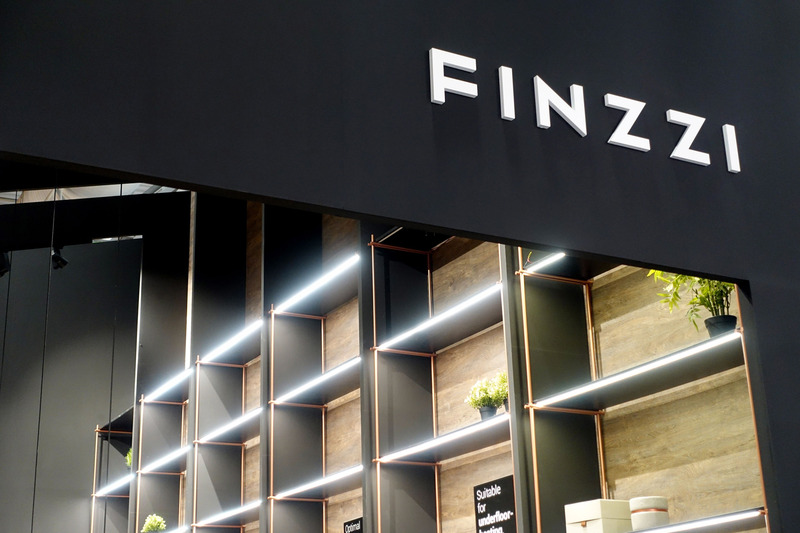 We created a complete branding & stand design project for Finzzi: the new coverings brand that brings to the industry a wide range of high performance and sustainable materials. 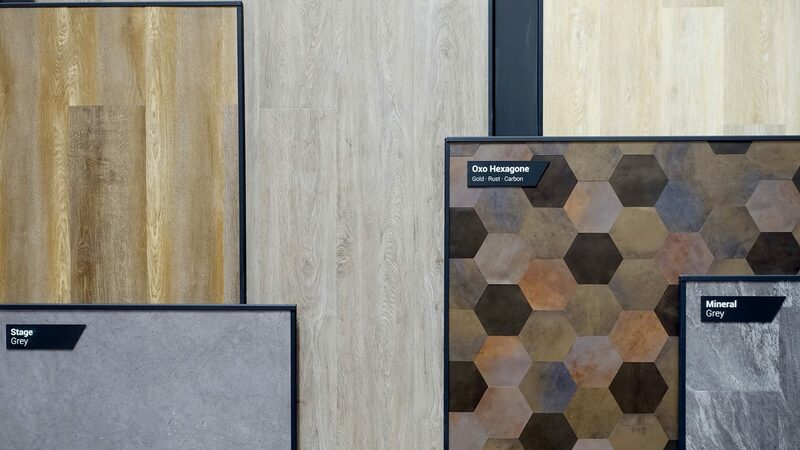 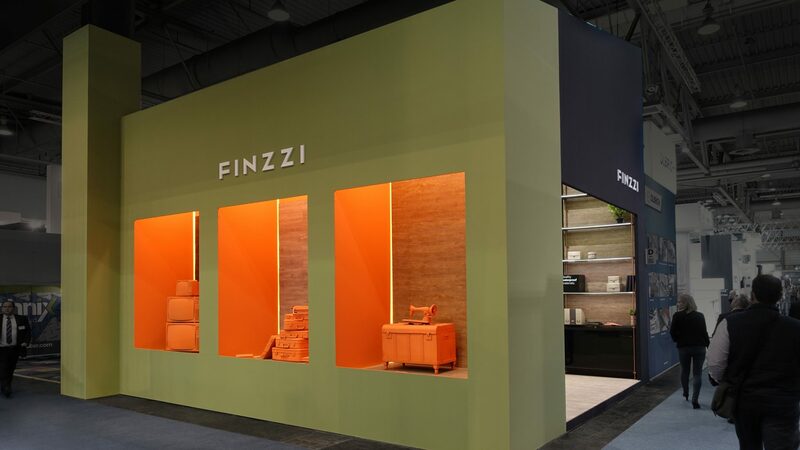 From the naming to the final exhibition stand, we managed Finzzi’s brand launch in the trade fair Domotex 2018 (Hannover). 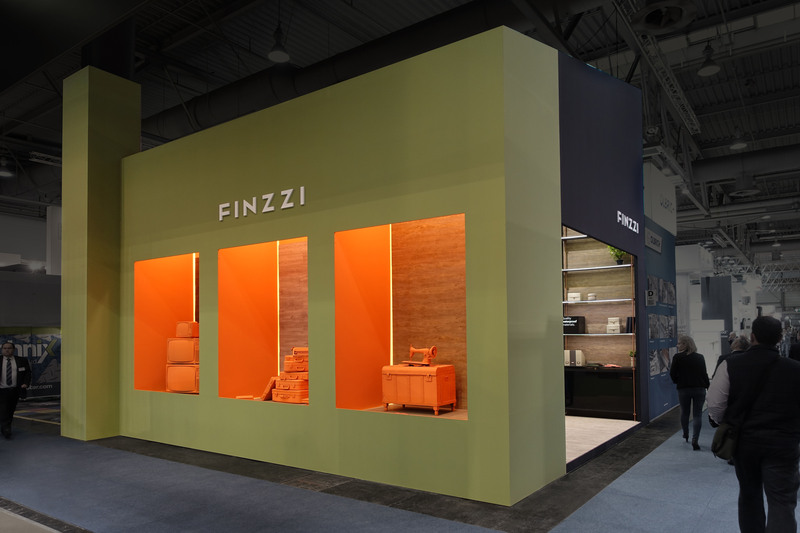 This ephemeral architecture design is the one we’re sharing today. 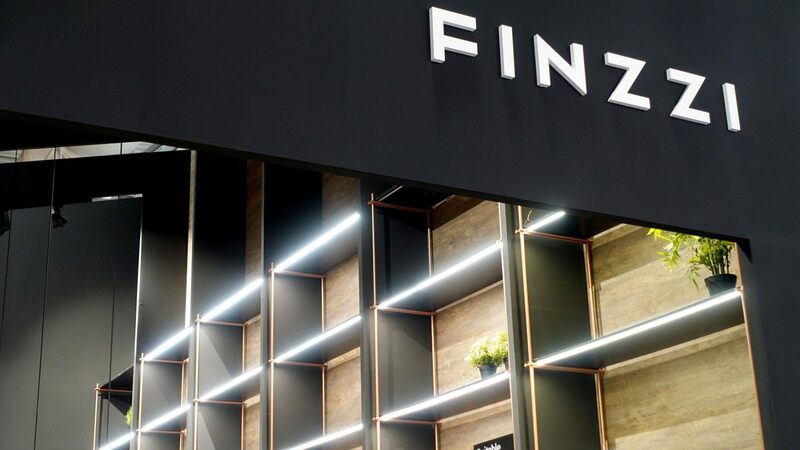 The architecture design of the stand has a clear vertical component due to its impressive 6,5m height. 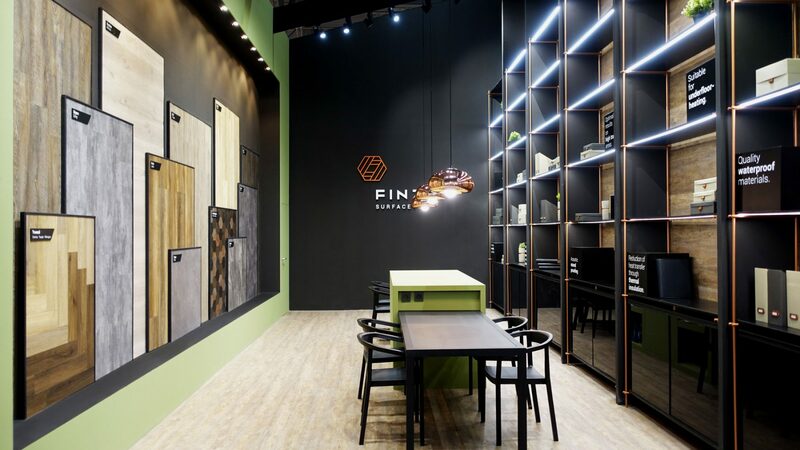 That verticality was intentionally marked in the product display wall and also in the design of the modular shelving that rises and reaches the ceiling. 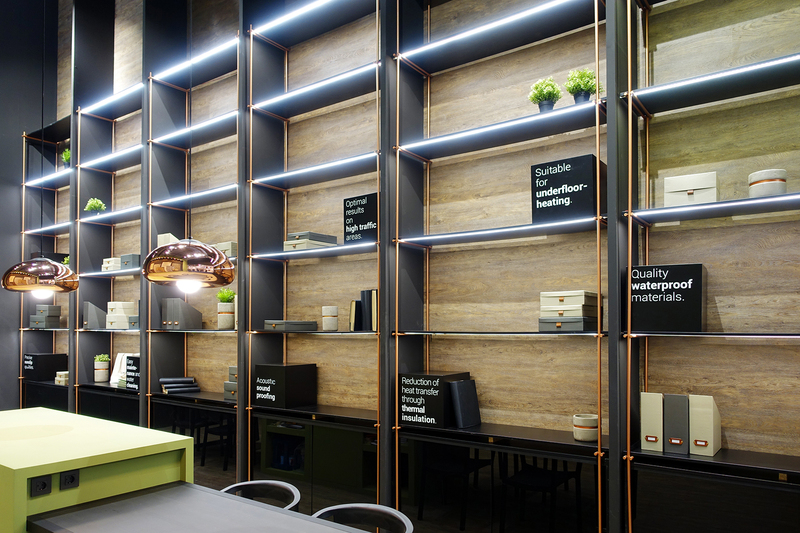 This shelving and also the central element of the space, the table, were custom designed elements. 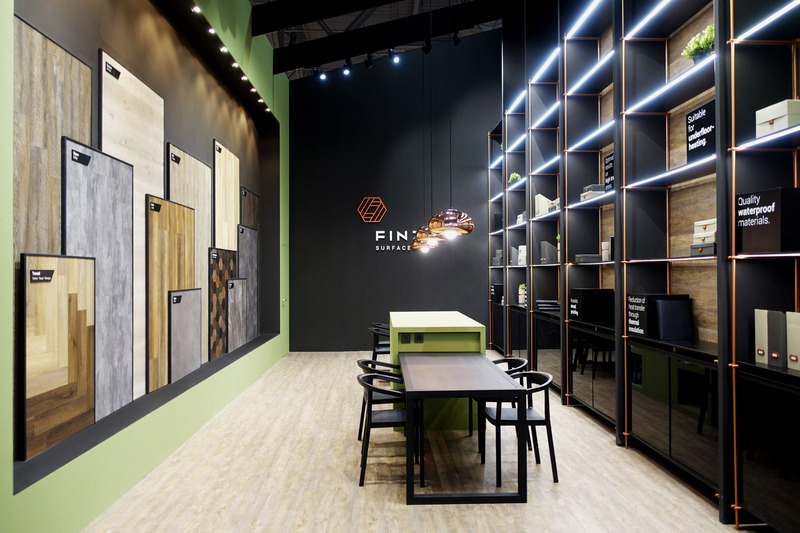 Having not only a practical function in the stand but also being unique and special components. 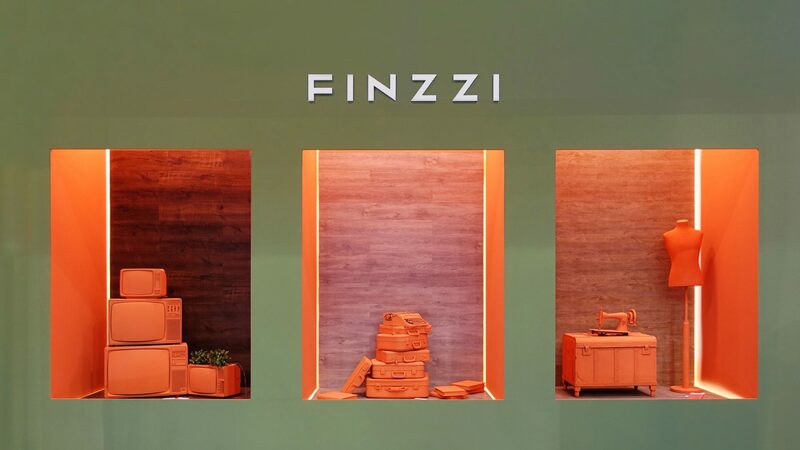 Finzzi truly believes in the added value of design, so we focused in communication and all the decoration details of the stand to reflect there all the brand attributes and the visual identity of Finzzi. 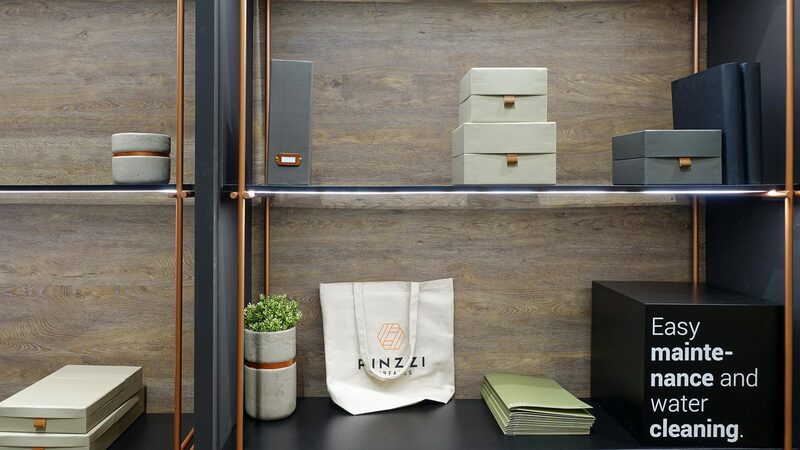 In the interior of the stand we applied the corporate green & black colours in the product display wall, table and shelving modules, and we also create custom copper bars for the shelving structure. 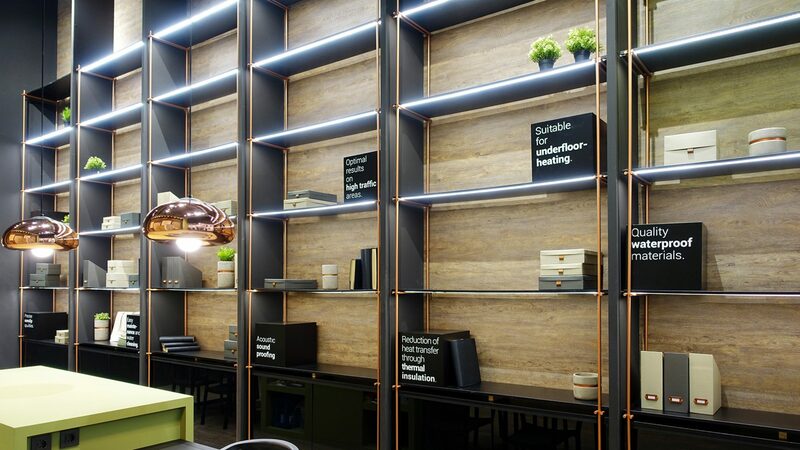 That corporate copper was also present in the suspension lamps and other decoration elements of the shelving. 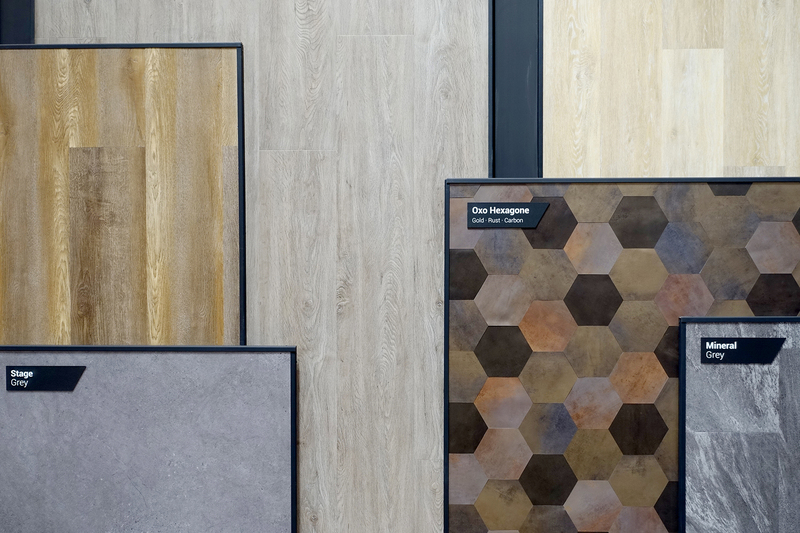 But definitely the attention is focused on the mockups placed in the outside. 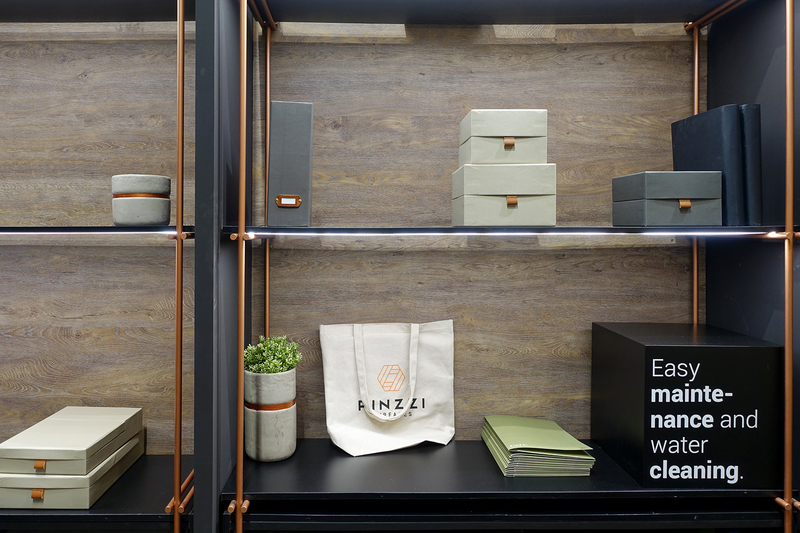 Three mockups with product placement and some elements fully painted in corporate orange. 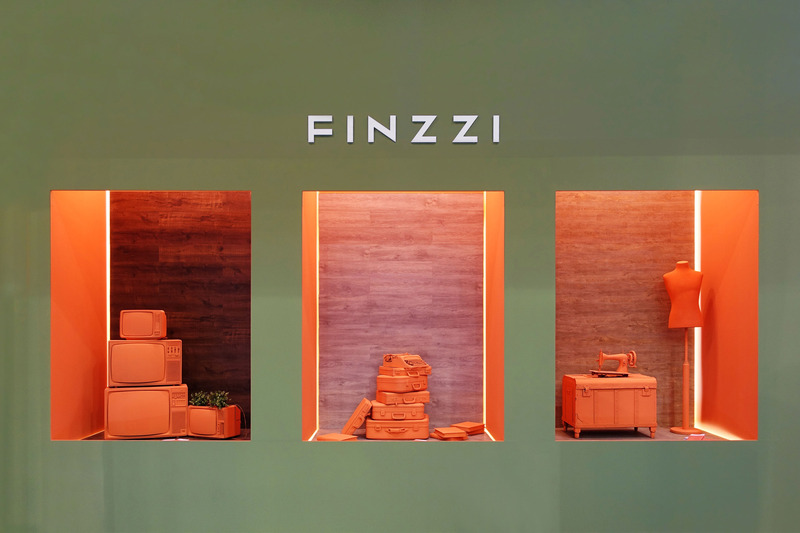 Under the concept “reinventing i classici” we expressed the connections that exist between Finzzi and the Italian knowhow and we did it with three scenes that reflected 3 attributes of the brand: innovation, creativity and design, related with the Italian cinema, literature and tailoring.